“I have had the pleasure of hiring Gianna to do my makeup for two separate formal events that I have attended over the past year. I had a specific look that I wanted to achieve for each occasion and Gianna knocked it out of the park! I especially love the result of her individual eyelash application along with my request of a smokey eye look that simply made my eyes “POP”! She made my skin look flawless (which is a job in itself)…. wish I was able to have airbrush foundation done on a daily basis…looked AMAZING! 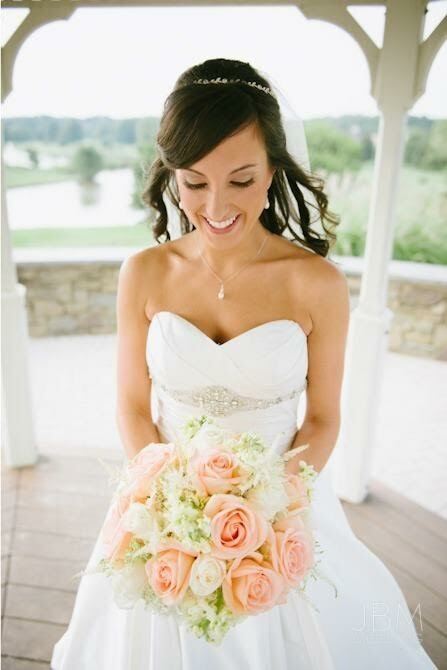 “Gianna did such an AMAZING job on my makeup for my wedding day! After the trial I knew I would have nothing to worry about and would look gorgeous on my wedding day. She did Airbrush Makeup which lasted for over 12 hours! Not only did she make me, my mom, and all my bridesmaids look amazing, she was also completely professional, patient, friendly and very talented. She listened as each of us described the type of style we wanted, understood right away and executed them perfectly. “Gianna Giacona is absolutely amazing. She will do exactly what you ask for except better than you can imagine. Not only is she super talented and efficient, but a good person as well. She is very sweet and understanding. I am going to recommend her to every future bride I know. “Gianna is laden with professionalism and talent. She is such a pleasure to work with; flexible, friendly, and so knowledgeable on applying cosmetics for the “whole look”. “Gianna was amazing to say the least. Her artistic abilities and creativity blew me away – Gianna really has the eye for that perfect, flawless look for hair styling and makeup. She knows what looks good on what skin types and hair styles that compliment your dress. Gianna executes the look perfectly. She even took the time to do and redo a certain section of my hair multiple times because she wasn’t satisfied if it wasn’t perfect. When she says she’s a perfectionist-she means it! Gianna has amazing talent and the outcome of her work was stunning on everyone.Her assistant Stacy is also amazing and together my entire bridal party and mom’s all looked absolutely gorgeous. They are true professionals. Gianna returned all my emails and phone calls quickly and they were very flexible when it came to timing, etc. She was extremely accommodating as we had some last minute changes and she worked around everything to ensure everyone was ready, looking beautiful right on time. She was also very personable and friendly and made the experience so thoroughly enjoyable.